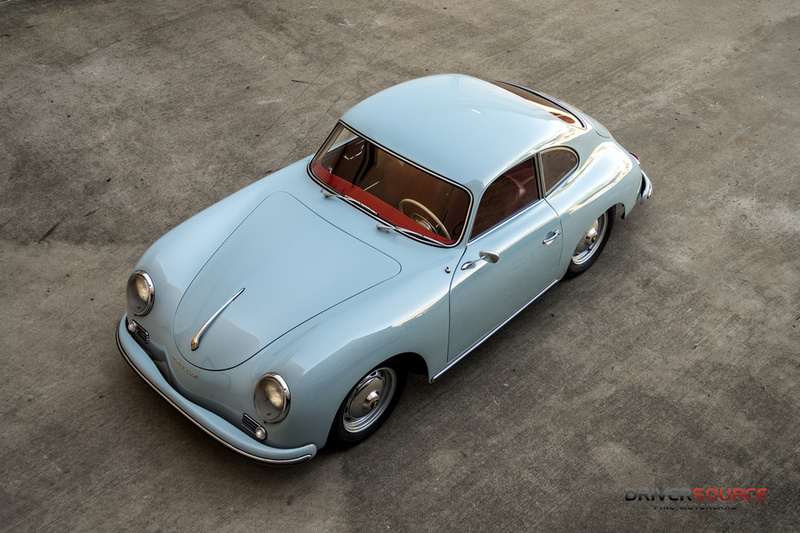 The 356 model line expanded and evolved throughout the 1950s and quickly gained an enthusiastic following with each subsequent new variant. 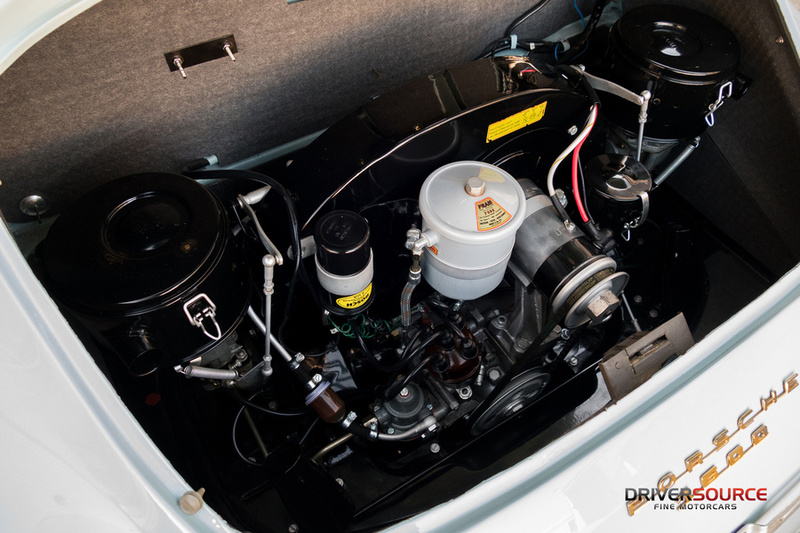 Mechanical improvements and additional comfort increased drivability. 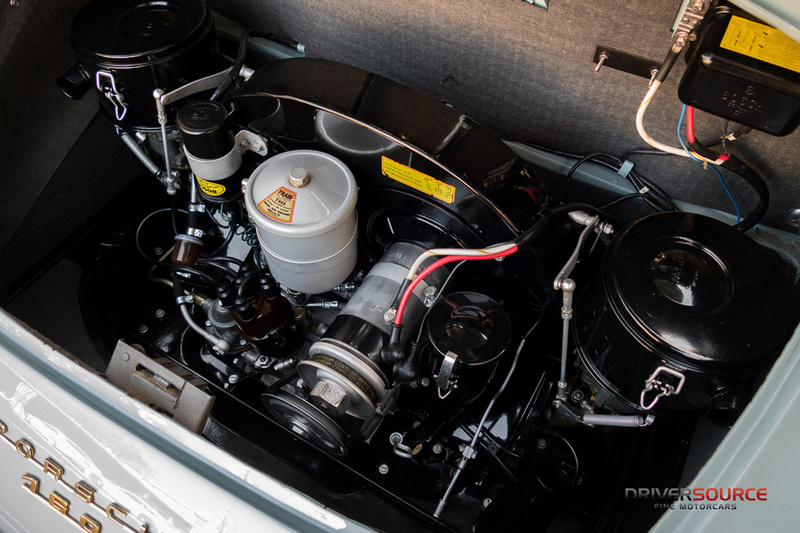 Further changes took place in 1958 with new steering and the now twin carbureted, 1,600 cc engine reverting back to standard bearings and cast-iron cylinders. 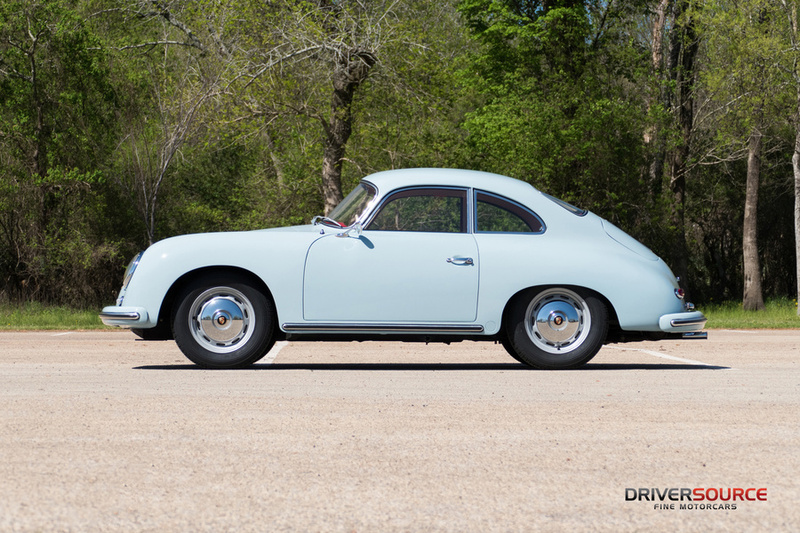 With their beautifully minimalistic design and carefree drivability, 356A's and Pre-A's have become highly sought after and truly represent the core essence of Porsche. 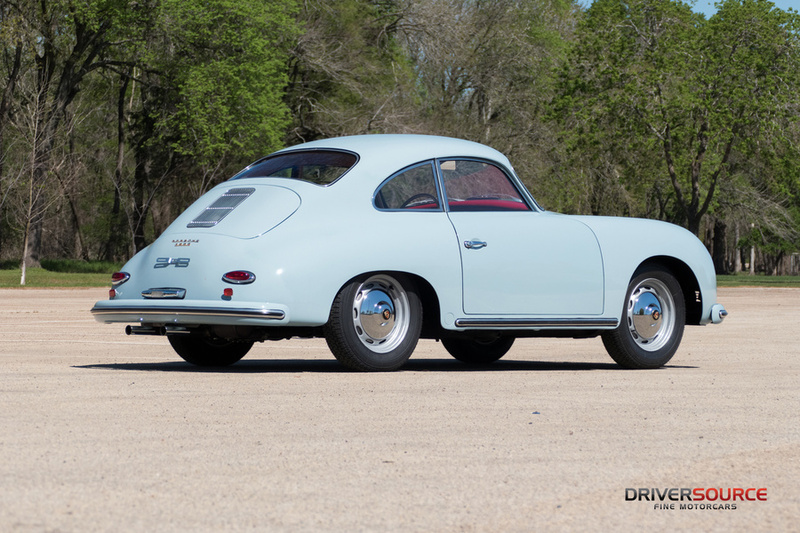 Offered here is a sporting example of the last model year 356 A Coupe. 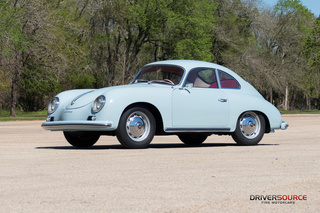 107183 was completed on March 31, 1959 as a U.S. equipped Ruetter Coupe, distributed by Hoffman Motor Car Company of New York, wearing exquisite Meissen Blue paint over Red leatherette upholstery, as confirmed by accompanying Porsche Kardex and Certificate of Authenticity. 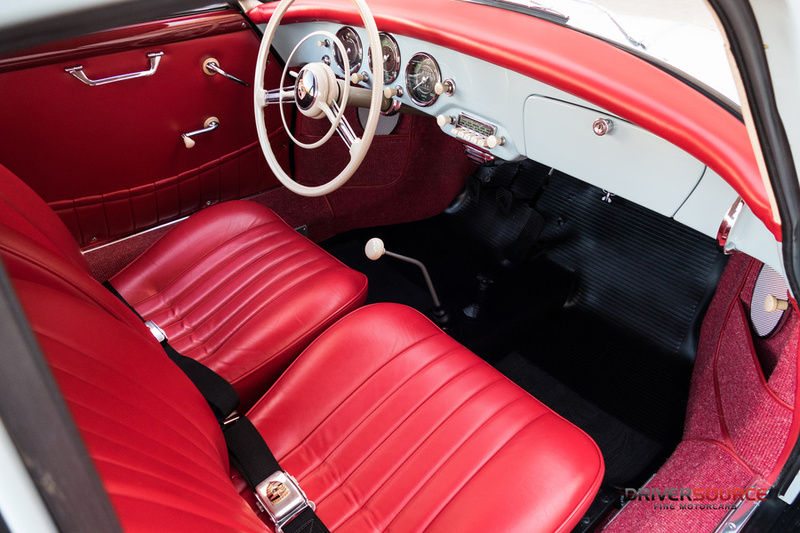 In the previous decade, this California car was the recipient of a comprehensive restoration to outstanding results of which still present very well today. The previous caretaker whom commissioned the effort, coordinated top specialists around the Costa Mesa area to complete the rotisserie restoration, with over $60,000 in recorded expenses at the time. 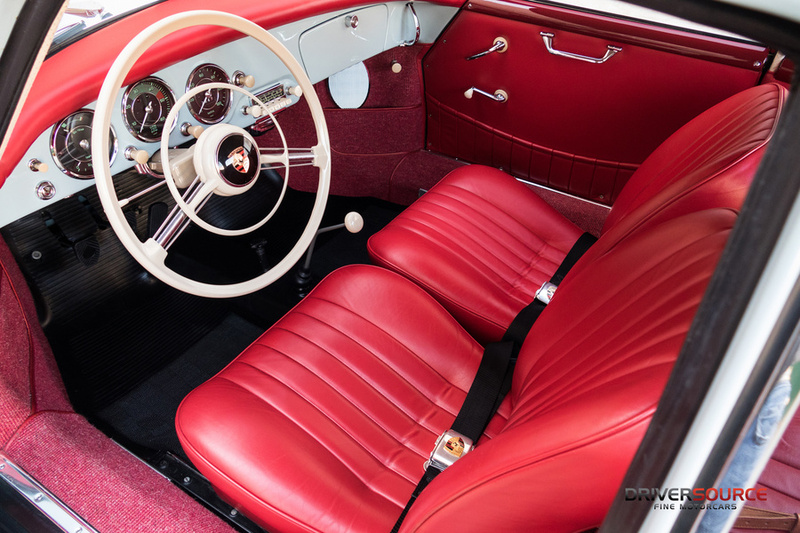 All mechanical and electrical systems were addressed and refreshed to new, as were the cosmetics, including a fully tailored leather cabin with all instruments in proper working order. The car displays tight panel fit and excellent, thin finishes as the car was properly stripped beforehand. Its body #183 appears stamped on the rear deck lid, which covers its original and appropriately displayed 1600cc engine. A corresponding 10/58 date stamped gas tank resides up front, as does the matching spare tire assembly with leather strap, original jack and a concours quality tool kit. Drivability and power is absolutely dialed in. 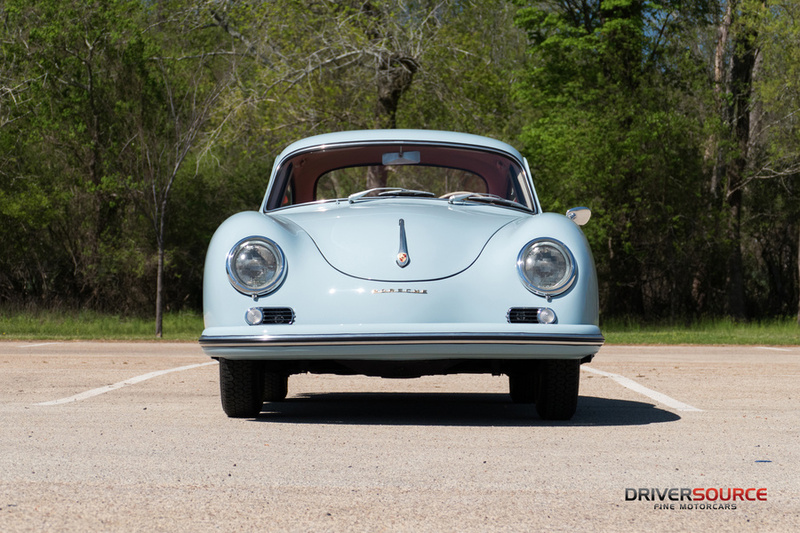 We recently had the privilege to display the Porsche at a local Cars & Coffee event in Downtown Houston, and not only was the reception overwhelming, but we were beyond impressed with the 356's handling and ease of use in modern traffic and freeway speeds – a truly versatile instrument for nearly any vintage automotive event. 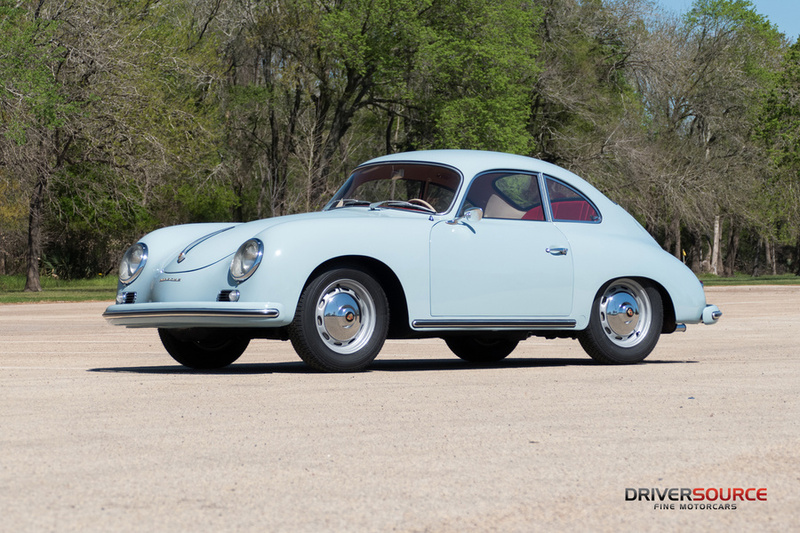 Quality “A” coupes are becoming very difficult to source as Pre-A's have sky rocketed in values. 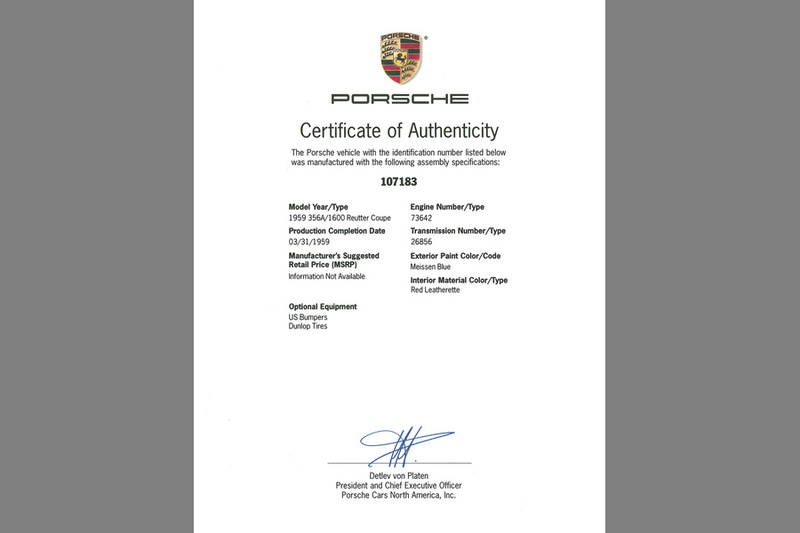 They are the essence to the birth of Porsche and will surly continue to appreciate in popularity - especially in unique factory form, such as this example. 107183 offers many possibilities to its next caretaker and is now available for worldwide purchase and delivery from our Houston, Texas showroom.